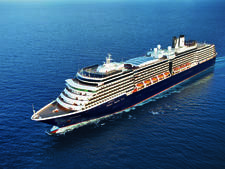 Editor's Note: During a May 2016 dry dock, Prinsendam received a slew of cosmetic updates -- including overhauls to the buffet and all suites. 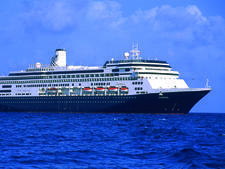 Prinsendam, Holland America's smallest vessel, is considered its pathfinder. 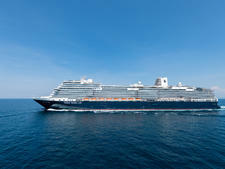 This is the ship to choose if far-away destinations, longer-than-usual itineraries and superb value for money are key factors in selecting a cruise -- especially because Holland America has continued to upgrade and refurbish Prinsendam since acquiring the ship from Seabourn in 2002. 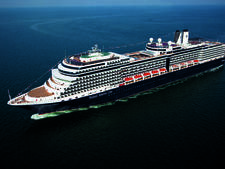 The latest major upgrade was completed in 2016 and the ship now carries more Holland America staples. It's got the line's signature Explorations Cafe by the New York Times, a lovely reading room and library. 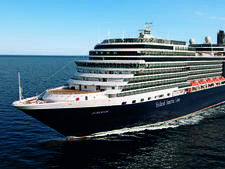 The Pinnacle Grill, Holland America's alternative restaurant that serves Northwest-inspired cuisine, has a fresh look and new menus. Cabins were refreshed with new carpets. And the ship, which has never been marketed as a family-friendly member of the HAL fleet, now operates the Club HAL kids' program (though there's no dedicated facility and counselors are only onboard during holidays when multi-generational groups are likely to be traveling). 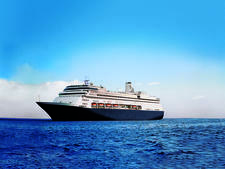 Originally named the Royal Viking Sun when it debuted in 1988, and later the Seabourn Sun, the vessel has always been one where passenger comforts rank high with officers and crew. 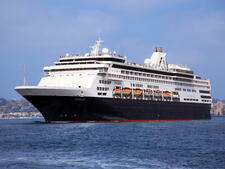 That philosophy has continued with Holland America. 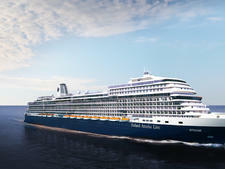 The ship's guest relations desk, for example, is visited daily by passengers who just want to say "hi" to staff rather than to voice a complaint. 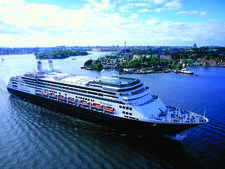 "As You Wish" dining was introduced on Prinsendam in May 2008, allowing guests to select either traditional pre-set seating or dining on a flexible schedule from 5:15 until 9 p.m. daily. 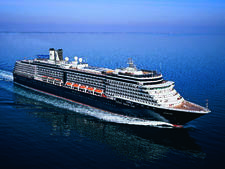 Ultimately, one of the most delightful aspects of Prinsendam is that it is utterly unique within the HAL fleet -- despite the many features, facilities and amenities consistent with newer, bigger vessels. 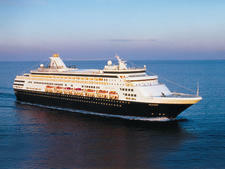 It's still by and large a ship for more mature travelers who want classic style cruising and contemporary conveniences. 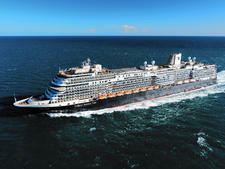 Prinsendam appeals to well-educated, well-traveled passengers. 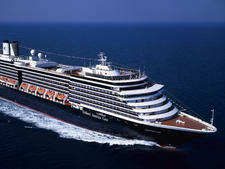 They are inveterate travelers -- primarily from North America and the U.K. -- in their late 50's and older. 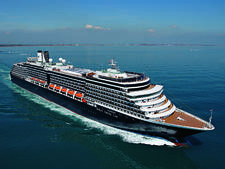 You won't be dazzled by diamonds on this ship (although I spotted some "beauts"), but you will be awed by the intelligence, curiosity and enthusiasm of your fellow passengers. 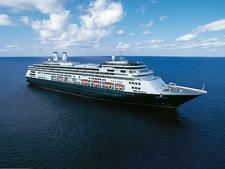 Country club casual is the norm, but count on a few formal nights per cruises and as scheduled on longer voyages. Formal can be anything from a dark suit to a white dinner jacket for men and a sequined ball gown to a glitzy silk short over pants for women. Shorts and sleeveless T-shirts are never worn in dining rooms.